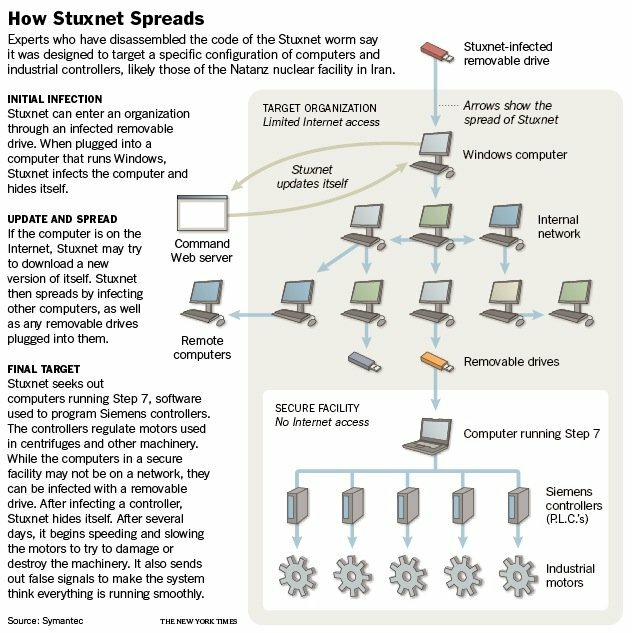 A group of journalists write for the NY Times about the Stuxnet worm and its lineage within the US and Israel. Quite an interesting read. Image is from the NY Times. Posted on January 16, 2011 by adamgdunnPosted in UncategorizedTagged cyberwarfare, hacking, stuxnet.